“It is with great enthusiasm that I announce Alia Figueroa as Maid Silvia the 82nd. As a resident of Upshur County, Alia has been familiar with and taken part in many of the festival activities and events throughout her life,” said Nida. Alia is the daughter of Nicholas and Theresa Raschella of Buckhannon. She is the granddaughter of John and Cindy Sisolack and John and Pamela Raschella, all of Belington. She has one brother, Gage and three sisters, Kaleigh, Johnna, and L.
The future Queen Silvia is a 2018 Homeschool Graduate. She was the Homeschool Valedictorian, where she graduated with honors, received numerous academic awards, and was awarded multiple college scholarships. Alia performed many beneficial community service hours throughout her high school years and volunteered at her local elementary school. In the fall, Alia will be a freshman at Davis and Elkins College where she plans to pursue a degree in Elementary Education. In her spare time, she enjoys drawing, painting, fishing, hiking, running, theatrical make-up, traveling, working with children, and volunteering at her church. Alia hopes to work as an Elementary teacher at a local elementary school after she graduates from college. “Alia told me that it has always been a dream of hers to be able to participate in the Mountain State Forest Festival. Her contagious smile, warm personality and her love of children make her the perfect fit to be crowned Queen Silvia the 82nd this fall,” said Nida. 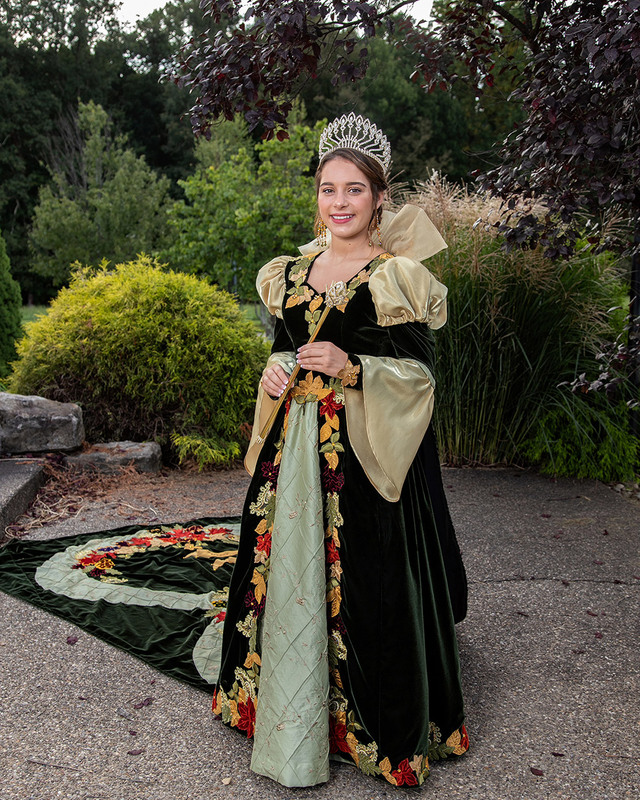 Alia will be crowned as Queen of the 82nd Mountain State Forest Festival during the royal coronation on October 5, 2018, at the outdoor amphitheater of Davis and Elkins College. Attended by 40 princesses from across the state, two maids of honor and a minor court, she will receive her crown in an elaborate outdoor ceremony.